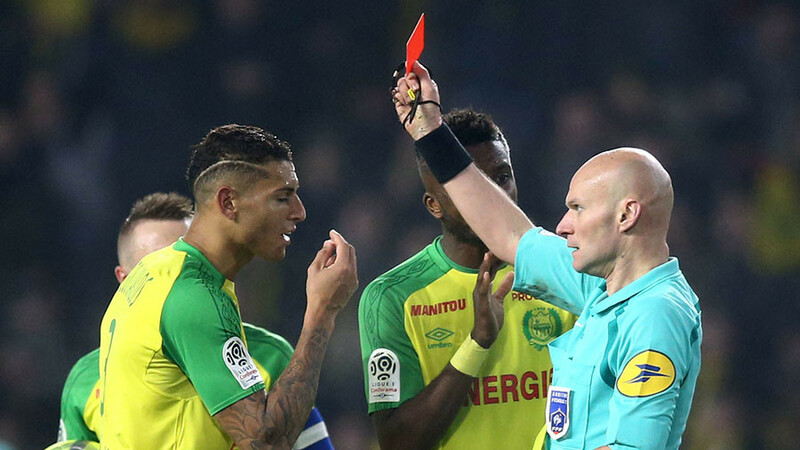 French football referee Tony Chapron has received a ban from the French Football Federation (FFF) for apparently kicking out at Nantes player Diego Carlos, before bizarrely showing him a red card. Chapron took a tumble when Carlos clipped the referee’s heels near the halfway line while both were running to keep up with a Nantes attack in the final moments of the team’s home Ligue 1 match with Paris Saint-Germain on Sunday. Astonishingly, the official then swung his leg round in an apparent attempt to kick the midfielder after seemingly adjudging the Brazilian to have deliberately tripped him. In a further bizarre action, the referee then inexplicably sent Carlos off by showing him a second yellow card for his perceived offence. In response, the FFF confirmed that Chapron will be withdrawn from immediate officiating, and will face disciplinary action. The statement added that Chapron, after reviewing the images of the incident, “found that his fall had been caused unintentionally,” upon which the official informed the DTA and prepared a complementary report for the LFP Disciplinary Committee. "It's a joke. Honestly, the whole of Europe is laughing here," Nantes president Waldemar Kita said after the game. 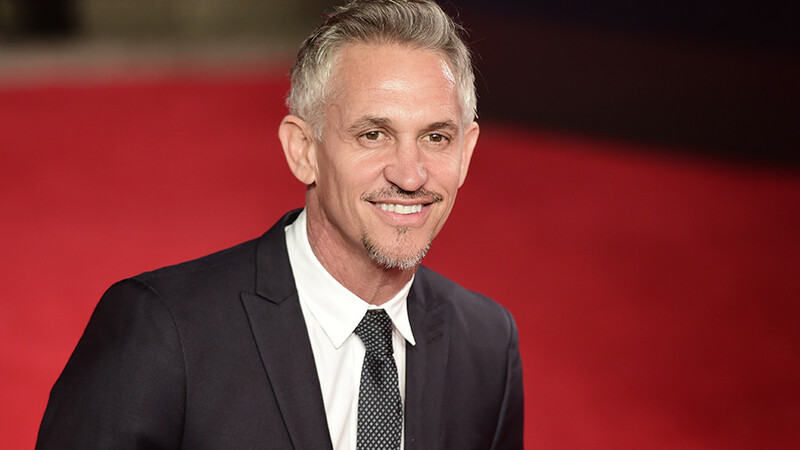 "The player is on the receiving end and it's him who gets a card. There's a problem here." The red card came in the 91st minute of the match, which Nantes lost 1-0 to Ligue 1 leaders PSG, who now sit 11 points clear at the top of the table.